Samsung hasn’t had an easy time of it lately. The company’s Galaxy Note 7 smart phone was recalled after dozens of reports that the batteries caught fire and in some cases, exploded. The phones were even banned from all U.S. flights last week for fear of an incident up in the air. Now, customers are complaining the company is “resisting” paying compensation for damage caused by the phones, published reports say. We imagine it’s all keeping Samsung’s customer service reps quite busy. That wasn’t a good thing for Bill Sherwood, who had a problem with a faulty Samsung television in the middle of the Galaxy Note fiasco. 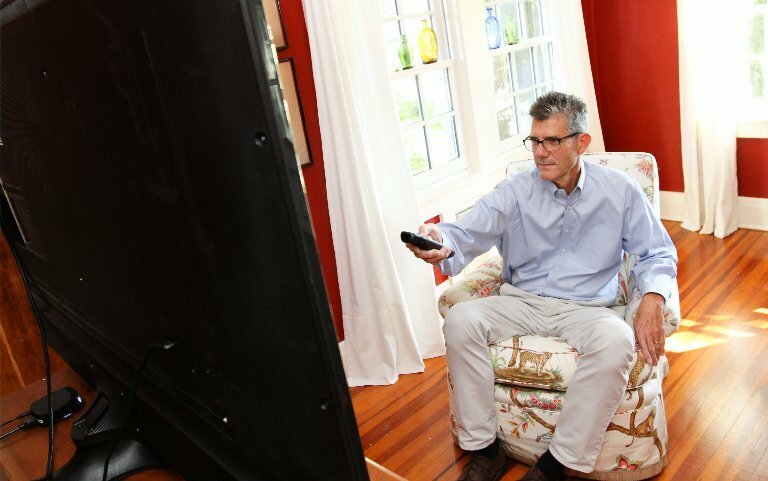 Sherwood bought a 55-inch Samsung, the Class KU6290 6-Series 4K UHD model, for a room in his home that was undergoing improvements. 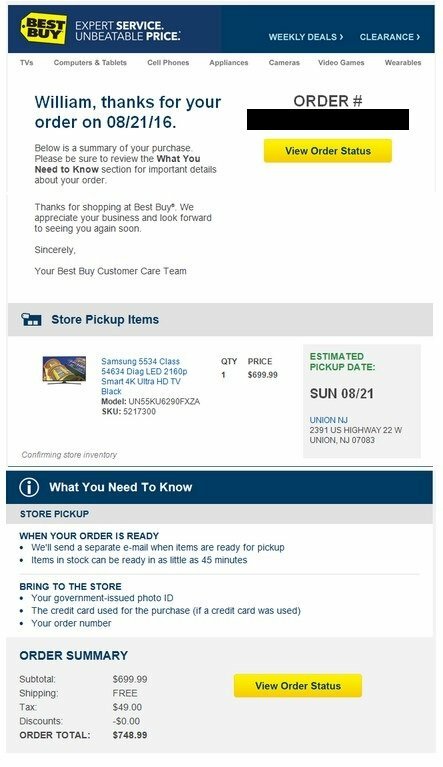 He made the $748.99 purchase from Best Buy on Aug. 21, but because the construction wasn’t finished, he didn’t set up the television until Sept. 17. “On Sept. 25, after only watching the TV for a total of 10 hours, we lost the picture,” Sherwood said. The audio worked. Just no picture. So he called Samsung, which set up a repair ticket. About 30 minutes later, Sherwood said, he got a call from a local authorized service center and they set an appointment for a repair two days later. When the repairman arrived, he replaced the television’s screen. The picture was back and the repairman left the television on so Sherwood could calibrate the TV’s settings, Sherwood said. He didn’t have the time to make the changes immediately, Sherwood said, so he turned off the TV with plans to work on it later. When he turned on the unit two hours later, there was again no picture, he said. Sherwood called Samsung and asked the repair ticket be reopened. He said he also left a message for the repairman. It took several phone calls, and finally, a repair was scheduled for Oct. 5. Sherwood said the tech tried installing yet another power supply, but that didn’t work, either. “Over the two visits, the tech had essentially rebuilt a second and a third TV, none of which worked,” Sherwood said. Between Oct. 5 and Oct. 11, Sherwood said, he called Samsung 18 times. He said he was promised he’d receive a call from the escalation center within 48 hours, but no one called. When he complained, he said he was told the escalation department was very busy dealing with customer calls about its smart phone issues. That’s wasn’t good enough to Sherwood, who actually once worked as a customer service call center manager. And by now, Sherwood didn’t want a repair anymore. He wanted a different unit. That’s when he contacted Bamboozled. We reviewed Sherwood’s list of contacts with Samsung and took a look at his purchase documents. Returning the television wasn’t an option because Best Buy only offered a 15-day return window. Sherwood tried asking Best Buy for help, but that time had long passed. Sherwood also reached out to his credit card because using the card for the purchase gave him extra warranty protection for the television. But because it was a “technical issue,” the credit card told him he had to work with Samsung. We asked Samsung to review. The next day, Sherwood reported, he received three calls from Samsung. He said the rep apologized for the situation. He was given the option of returning the television to Best Buy, and then he’d get a store credit for the unit, he said. Sherwood didn’t love that option, he said. He would have to pay a $14 charge for Best Buy to take back the old TV and replace it with a new one. Sherwood said the rep promised to look into it. There was some phone tag, so in the meantime, Sherwood checked back with his credit card to see what protection he’d have if he tried a new Samsung as part of a store credit scenario. The credit card said nope. He’d only have the additional warranty protection for an actual purchase on the card and not from a purchase using store credit. Sherwood said the extra warranty protection was important to him given the history of the first television, so he planned to ask Samsung for a complete refund. “I will return their TV to wherever — for free — and I would have the ability to purchase whatever TV, wherever and with the additional warranty protection from [the credit card],” he said. Sherwood continued to email with Samsung last week. He learned there would no longer be a fee to return the television. That was a start. Next, the rep agreed for Sherwood to take a different model as his confidence in the one he had was not good. Sherwood and the rep agreed on a different unit as his exchange, but there was more conversation about what warranty the new model would have. He wanted to make sure the Samsung one-year warranty for parts and service would stand, and that the warranty date would start not from when he made the original purchase in August, but from whenever he gets the new unit. Samsung did the right thing. “The new television normally does not include a one year warranty if the customer does not pay an exchange fee, however due to the inconvenience once I see that your order has been allocated I will update the file showing that Samsung will cover parts and labor for one year,” the rep told Sherwood in an email. Assuming the pick-up of the faulty TV and the delivery of the new one goes as planned, Sherwood said he’ll be satisfied. If Sherwood has any problems with the new television, we’ll be sure to let you know.